Sponsoring a student at the FEJ's primary school is the best way to help a child, family, and community build a future free from poverty. For only $40 per month you can give a child hope by providing access to such critical resources as a primary education, two meals a day, health care, clean water, and much more. Your sponsorship ensures that a malnourished child will be put on the path to recovery. 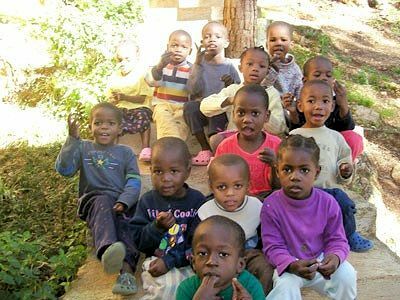 Through FEJ's health clinic, they will receive medical treatment and dietary supplements and meals to restore their health so they can grow into health young adults. $30/month.